From time to time special locations offer us special deals. When we get them, we pass that information right along to you. Check back here often. Find out which Dive Events, Expos/Conventions and Travel Shows Dive Adventures will be participating in. Dive Adventures has the experience to help make your dive vacation problem free. Read our tips here. Find booking forms, payment forms and useful travel guides. Useful travel and tourist information. In the north-west of Fiji lies a remote and beautiful chain of 20 ancient volcanic islands called the Yasawas. The archipelago stretches for over 80 kilometres. 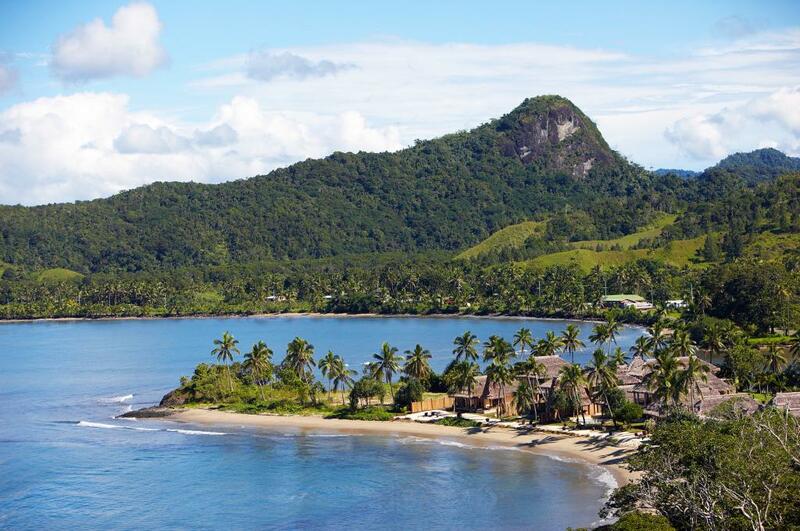 The mountainous islands are rugged and unspoilt, offering some of the most dramatic island geography and stunningly picturesque coconut fringed, white sand beaches in Fiji. You may recognise areas of the Yasawa Islands from scenes in the romance adventure film, “The Blue Lagoon”. Accommodation in the Yasawa Islands is quite a different experience to the nearby Mamanuca Islands. Whilst there is a growing selection of luxury resorts, the group of islands is most popular for its backpacking and flashpacking options. Most accommodations are Fijian owned and operated. There are no private restaurants in the Yasawas so most resorts will be all-inclusive or have a mandatory meal plan charge for your stay. You also won’t find any shops, banks or medical services here. A visit to the Yasawa Islands is a real escape from civilisation! The picture-perfect beaches, abundant sunshine and authentic Fijian experiences provide a beautiful natural environment in which to relax or enjoy the many activities on offer. Unforgettable highlights include the opportunity to snorkel with Manta Rays which feed in a channel between the islands between May to October, snorkelling with white tip reef sharks and diving with bull sharks. The majestic Yasawa Island group was formed millions of years ago by volcanoes. The most southern islands of Kuata and Waya Lailai have the highest dramatic elevations rising to approximately 600 metres above sea level with honeycomb rock formations. Further north, azure lagoons of “Blue Lagoon” fame surround white sandy beaches. Fringing coral reefs surround the islands. Many of the islands are home to traditional island villages. There are just over 20 resorts, mostly Fijian owned and operated, sheltered in the peaceful bays of the islands of Kuata, Waya and Waya Lailai, Viwa, Naukacuva, Nanuya Balavu, Drawaqa, Naviti, Yaqeta, Matacawalevu, Nanuya Lailai, Tavewa and Nacula. Getting to the Yasawa Islands is a short 30-minute hop by seaplane from Nadi. You’ll want to have your camera handy as the views are amazing! If you’re not in a hurry, the Yasawa Flyer (also known as The Big Yellow Catamaran) operated by Awesome Adventures departs daily from Denarau Marina in Nadi at 8:30am stopping at several Mamanuca Islands then continuing on through the Yasawa Islands. The journey takes between 2 - 5 hours depending on which island you are staying on before heading back south stopping off at all the islands again to arrive back at Denarau at 5:45pm. The Yasawas is a great destination for hiking, island hopping, snorkelling, scuba diving, kayaking and sailing.Swimming, fishing, village visits and campfire barbecues are common activities. Cruising around the Yasawa Islands is a popular option. This way you’ll get to experience a different island every day! In the northern part of the island group, the limestone caves of Sawa-i-lau are a great destination for a day trip. Or, for the more adventurous, you can snorkel with manta rays on Drawaqa Island and snorkel or dive with sharks on Kuata Island. The Yasawas has beautiful weather all year with a very warm, tropical climate. The rainy season is from November to the end of March. The water temperature during this time can reach 30˚C and there is a higher chance of cyclones. However, you need not let this deter you as the wet season is usually made up of plenty of sunshine, with only one or two sudden downpours a day, meaning you can still enjoy your beach holiday! Visibility is best during the winter months from July to September when the surface can be a little choppy and the water potentially as cool as 23°C. Snorkelling and diving trips with the sharks operate on a year round basis. The Bull sharks may be less frequently sighted during their mating season of November to February. The Yasawa Islands has a variety of dive sites with a range of topograghy - from canyons, caves and swim throughs to pinnacles and bommies. Whilst the soft corals, for which Fiji is famous, are not as spectacular as in the regions further north, diving in the Yasawas offers both hard and soft corals and abundant marine life with turtles, reef sharks and eagle rays. Diving in the Yasawa Islands is conducted year round but the conditions will vary. Visibility is best in the winter season. The diving is suitable for beginners with shallow reef dives to more experienced divers with deep and drift dives. For divers with a non-diving partner, the Yasawa Islands is an excellent destination choice having plenty of beautiful snorkeling options. Nanuku Auberge Resort, Pacific Harbour "Festive Season Early Bird Offer"
Qamea Resort and Spa "2019 Stay Pay Offer"
Paradise Taveuni "5 Night DEMA 2018 Special"
Paradise Taveuni "10 Night DEMA 2018 Special"
Paradise Taveuni "7 Night DEMA 2018 Special"
Uprising Beach Resort, Pacific Harbour "Year Round Specials"
Uprising Beach Resort, Pacific Harbour "Stay 3 Nights Pay 2 Nights"
Please enter your information below to help us find your perfect dive holiday. All details supplied will be kept strictly confidential. Would like to receive our email newsletter?